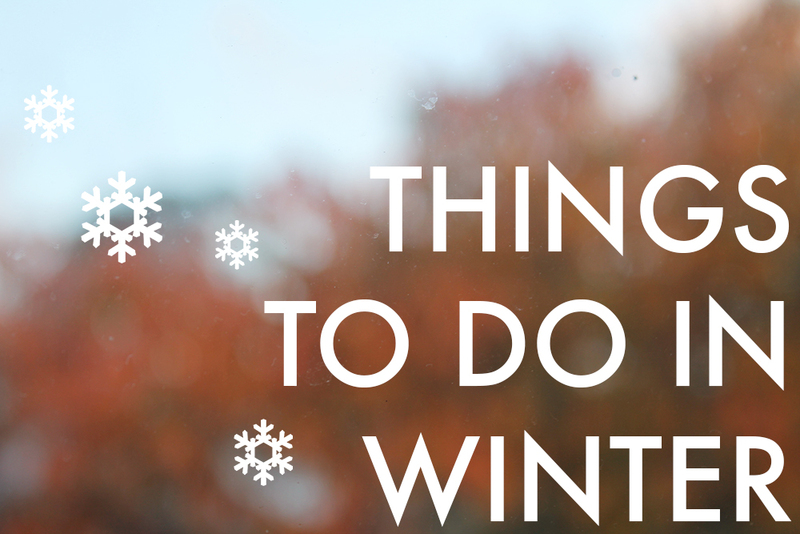 Things To Do In Winter | emma etc. The Southern Hemisphere has just hit winter so I thought I'd better do a post about all the lovely winter things I want to get up to, and you can too if it suits. 1. Visit Lots of Places and Take Lots of Walks. This may seem really vague and broad, but I do have some places in mind that will be really nice to visit around this time of the year when the leaves are still orange. If you live in Auckland you will know of certain places like The Domain, The Winter Gardens, The War Memorial Museum and Albert Park that I want to spend time in and take pretty pictures! I love the idea of taking walks and rugging up with a cosy scarf and hot drink. 2. Drink Those Hot Drinks For Once, Emma! I want to actually embrace the season and drink hot water and lemon, coffee, hot chocolates, etc. I'm just really lazy and don't make yummy drinks to sip at so I should really get around to doing that. On that note, I should probably bake a little more because I rarely do these days! 3. Catch Up On All of The TV Shows and Movies You've Been Meaning To See. I'm talking Game of Thrones, Twin Peaks, True Detective, etc. At least for me. There are loads of popular TV shows I just need to watch! Speaking of, if you want to recommend me any shows to watch, please tell. I have a list of movies I've been compiling over months that I need to watch as well. 4. Go Shopping. Even if I don't buy anything, there's nothing sweeter than just walking around town musing around the shops and stopping for something to eat at a cafe. I should also make this one: 'try lots of new places to eat'. There's literally too many cafes to count that I want to try/have been receiving some hype lately. 5. Stay Active. I mean, I think we'd all agree it's difficult to feel motivated in winter sometimes. I've been doing Yoga for a few weeks now (on and off) and I really like doing it. I love that I can do it from the comfort of my own home and I can follow a short or longer video if I want to. Doing something little is better than nothing, and I've just realised that, really. 6. Read ALL The Books. I have been reading quite frequently this year and I'm so glad. I love getting into a book and taking my eyes off a computer screen for once! I'm not reading a book at the moment because *exams* but you can bet I will be reading many once they finish, and what better way to do it with said stated beverages above.